The news has been alarming: Across the US, 62 cases of a frightening polio-like illness have been reported. The disease strikes mostly children and moves quickly from mild cold-like symptoms to paralysis with no warning. Dubbed “Acute Flaccid Myelitis,” or AFM, its symptoms are nearly identical to polio—the scourge that crippled thousands of Americans in the 1950’s. The answer to the perplexing problem of the current AFL outbreak can be found simply by looking back at research done during the polio epidemic of the 1950’s. A discovery was made at that time that clearly pointed to the origin of paralyzing polio, and measures were then taken to control the epidemic. No, this is not a tin-foil hat, flat-earth conspiracy theory. In fact, there are hundreds of articles published in medical journals from the 1950’s through current times that clearly show the relationship between vaccines and paralytic disease—including this article published in the Lancet medical journal in 2014. Before the late 1800s, there had never been an epidemic of polio and no recorded clusters of paralytic illness had been documented. But by the mid 20th century, epidemics of the disease were causing fear and illness throughout the world. Doctors and scientists began to frantically look for what could be causing the problem—and they discovered something very important. Polio epidemics tended to rise in conjunction with two medical interventions that had become common: tonsillectomies and vaccination programs. In fact, statistical analysis showed that cases of polio clustered around vaccination programs for diphtheria, tetanus and pertussis and children who contracted polio within a month of being vaccinated tended to develop paralysis in the limb in which they’d received the injection (those who came down with polio after having their tonsils removed, on the other hand, tended to contract a more serious form of the disease that caused paralysis below the site of injury—and often led to time spent in an iron lung). At the time this discovery was made, no one questioned the validity of the cause-and-effect relationship between polio and vaccinations or tonsillectomy. The information was clear, and steps were taken to protect the public—until a vaccination for the polio virus was developed. Once the vaccine hit the market, children were vaccinated for polio and the public simply forgot what had caused the problem in the first place. Polio is an enterovirus that is typically fairly harmless. 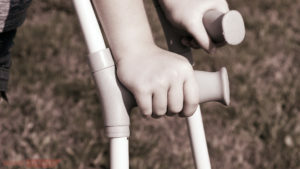 Under normal circumstances, polio might be contracted orally and cause mild, flu-like symptoms (or no symptoms at all). Like other enteroviruses, most people had contracted it in childhood often without knowing it. How could a virus that was once harmless suddenly start causing paralysis? The problem lies in how the virus enters the body. When contracted naturally, polio runs its course through the digestive tract with little trouble. But when it’s driven deep into the body via a needle (with a vaccine) or scalpel (during a tonsillectomy), it has the opportunity to enter the nervous system directly—and that’s where things become serious. Polio (and other enteroviruses) can be present on a person’s skin during outbreaks that would ordinarily cause mild illness. When the virus is driven from the skin deep into the body, it can make its way through the nervous system—which is why polio patients often developed paralysis specifically in the limb where they received an injection. A virus that causes slight discomfort when contracted by natural means can become a deadly threat when forced deep into tissue. A similar problem can be seen in staph infections contracted in hospitals or doctor’s offices, where bacteria that live harmlessly on the skin are driven into the body—resulting in serious illness. What is Acute Flaccid Myelitis? Are We Seeing a New Polio Epidemic? This brings us back to the epidemic of paralytic illness that has been in the news lately. Is the mysterious “AFM” actually the return of polio? The answer is complicated. Polio is a type of enterovirus, and the polio vaccine may be effective in reducing that particular strain of virus. However, other enteroviruses can cause the same symptoms—and, there’s no way of knowing which viruses might have been responsible for the paralytic illness epidemics in the past. 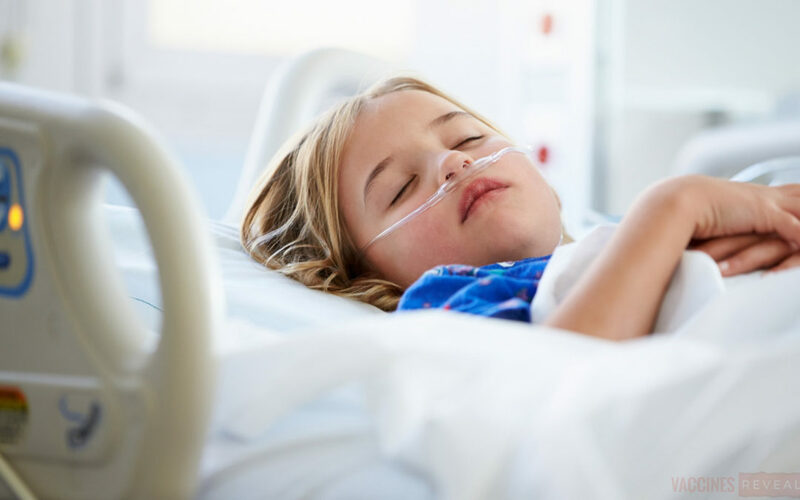 It’s suspected that at least some cases of TM and AFM are caused by a different strain of enterovirus (EV-D68), which could easily once again cause epidemics of “polio-like illness” to spread across the country. The cause of the disease may (or may not) be a different enterovirus, but the results are the same—in fact, in the 1980’s there was a rash of paralyzing polio in Africa when children were vaccinated during a push to eradicate polio (which was still active in the area but was not causing paralysis until vaccination began). In the end, it doesn’t matter much which virus is causing paralysis—the devastation is the same. Clusters of this “polio-like” illness have been happening periodically since polio was “eradicated” and will continue to happen as long as we ignore the facts: History has proven that vaccines can provoke paralyzing illness stemming from viruses that are ordinarily harmless. Unless there is a major change in policy, it’s unfortunately likely that AFM will be a growing issue among children in the United States. In the 1950’s when the medical community discovered the phenomenon of polio provocation, they were quick to recommend against vaccinating children when the polio virus was known to be circulating. 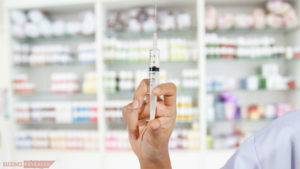 Laws that required vaccination for school attendance were relaxed and pediatricians reformed their vaccination practices in order to protect the health of their patients. That’s right, even though the CDC refuses to admit any possible association between the polio epidemics of the 1950’s and the current instances of paralyzing illness, they do have one thing to say to the public: Get vaccinated. 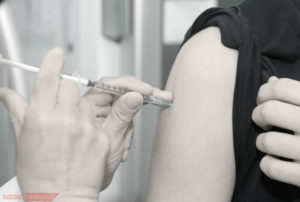 Despite the fact that the current spate of serious illness is not due to any disease that a vaccine could protect against (not even the poliovirus, if the CDC is to be believed), and despite the fact that the appearance of AFM illness is happening in conjunction with the yearly push for everyone to receive a flu vaccine, and despite the fact that the CDC knows about the problem of polio-provocation due to vaccines, they are telling the public that the best way to protect your children from paralysis is to keep them current on all vaccinations. This recommendation flies in the face of reason and has the potential to cause serious damage to hundreds of people across the nation. Greed, corruption, and the adamant refusal to admit to the shortcomings of the CDC’s vaccination practices—coupled with a willful refusal to learn from the past—are creating the perfect storm in which a frightening disease like AFM can move from an anomaly to an epidemic. Why There is Aluminum in Vaccines–and Why There Shouldn’t be. © 2016 Vaccines Revealed, All Rights Reserved.